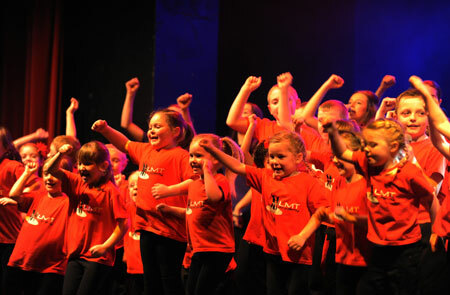 The LMT Academy of Performing Arts is an established academy which delivers high quality workshops in drama music and dance for students aged between 3 and 18 years. Students will develop their skills through active workshops. These workshops will be delivered in a variety of styles and art forms of Drama, Dance and Music. In our dance workshops students will learn a variety of skills and styles of dance. They will learn the importance of warming up and cooling down, technique, precision and the ability to co-ordinate with others. Dance is one of the three art forms, which form ‘Performing Arts’, and therefore it is vital to be skilled in this field. Styles of dance covered in the academy include: Jazz, Modern, Street, Hip Hop, Musical theatre and even Bollywood! In our drama workshops students will focus on acting and performance, which will culminate in a live performance. Drama warm ups are essential and develop a wide range of social skills in a fun learning environment. Dramais one of the three art forms, which form ‘Performing Arts’, and therefore it is vital to be skilled in this field. Our drama workshops cover improvisation, devising, script work, acting for audition, characterisation, vocal skills, movement, strategies such as still image, monologue, thought tracking and much more. In our music workshops students will learn a variety of skills in music. Skills such as warming up the voice, developing the voice, techniques, solo singing, singing in a choir, harmonies, breathing, clarity and diction in many different styles of music. They will learn the importance of warming up and cooling down, technique, precision and the ability to co-ordinate with others. Music covered in the academy includes rap, jazz, pop, musical theatre and much more! The LMT Academy of Performing Arts is an established academy, which delivers high quality workshops in Drama, Music and Dance for students aged between 3 and 18 years. Students will develop their skills through active workshops. These workshops will be delivered in a variety of styles and art forms of Drama, Dance and Music. The workshops are fun, entertaining and engaging, which allows students to develop a wide range of social skills such as confidence, team building, participation, communication, listening, collaboration, self esteem and many more. The workshops work towards a high standard of performing skills, which will be demonstrated in an annual show. 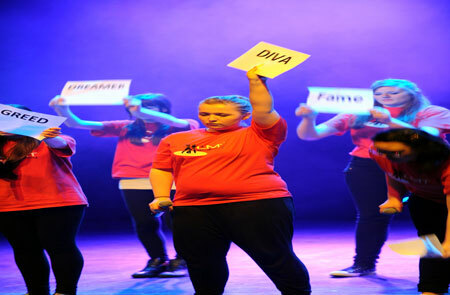 The Academy's aim is to develop skills in Drama, Dance and Music but to also provide to your son/daughter with confidence and social skills that will live with them forever. "In drama you can do some fun things and play games and do a show! I love the shows! And you can meet new friends too. I learn new games and great songs. My favourite is learning to act!" "My daughter has been with the academy since 2009. I have watched her confidence grow over these years. So much so that she now wishes to study acting at university. The staff at LMT have been extremely encouraging and have given her all the support she has needed to develop. Learning these essential skills has helped her grow into the person she is today." 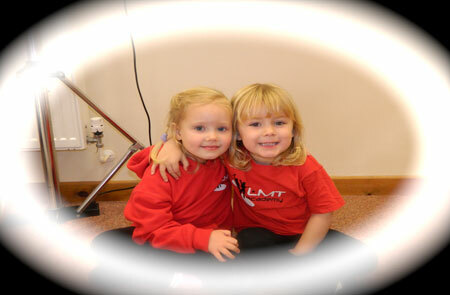 "My daughter has been attending LMT academy since the age of 3. She absolutely loved it from day one and I can honestly say there has never been a week when she has not wanted to go! She even counts down the weeks when there is no drama in the holidays. She has performed in several shows now and has grown in confidence at each one. LMT staff are such a credit to the academy and I am confident that through attending the academy my daughter will (if she wishes too) have endless potential avenues to use the many skills she is being taught at LMT!" 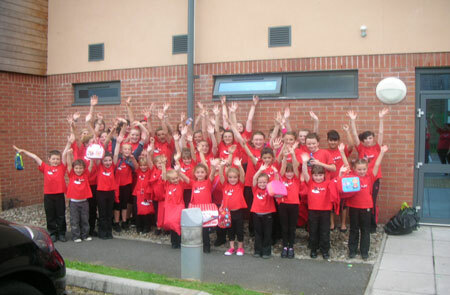 "A well run school with excellent staff who bring out the potential in all their pupils. Although she has left now to go to university, it was money well spent." "My 7 year old daughter started at LMT in September 13 after attending ballet and dance/tap for a number of years. She wanted something that involved drama, LMT clashed with ballet so we tried a tried a couple of other drama groups which she did not enjoy. When she gave up ballet and attended a session with LMT she said 'This is the group I have been waiting my whole life to attend' (lol!) 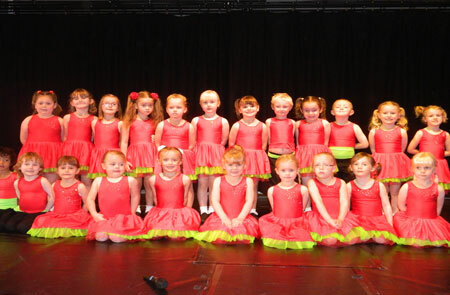 LMT incorporates all the things she loves dance, singing, drama, gymnastics and it is such a fun and positive environment." "My daughter has been going to LMT Academy since September 2013, when she had just turned 3. I was a bit apprehensive about leaving her due to her being so young but Luisa / Marvin and the rest of the academy crew made me and Lilly feel at ease. It's been 5 months now and Lilly thoroughly enjoys every aspect of the group especially her first stage show at Christmas. Now I have a confident child that is always practising her singing/dancing and acting and is constantly asking "is it Saturday yet"?, so she can go back and do something that she loves. It's almost count the days till Saturday! Absolutely brilliant and so much fun x"
The LMT Academy prides itself on the excellent standards of teaching to its’ students of all ages. In order for students to develop further within the Performing Arts industry, opportunities for professional work and audition processes will prepare students further for a career in this field. Students at the LMT academy will be represented by the LMT agency. Parents will have the opportunity to decide if they would like their child to sign up to this. 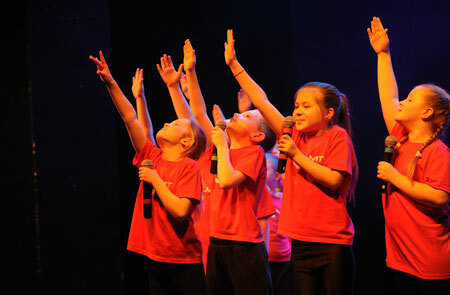 LMT students will be entered into the Spotlight directory (Children and Young Performers directory) and have an online CV. This will be available to all casting agencies; when work arises casting agents will contact the academy for auditions and other professional opportunities. The LMT Agency will charge commission for all work. The rates range from 10-20%. Cost for chaperone and transport will be deducted separately. The LMT Agency can receive a call from casting directors at any time – it is unpredictable when the calls will come through. Students can be expected to travel to Cardiff and London. The auditions can be varied from films, commercials, theatre, and TV. TIMES LMT STUDENTS HAVE SHOUTED 'MARVIN' AT 'MARVIN' BECAUSE LUISA IS ALWAYS RIGHT! Saturday's sessions will be held at Beddau Community Church Castellau Road Beddau, Pontypridd, Mid Glamorgan CF38 2AA The venue is located on Beddau square, at the roundabout with the clock on it. From Penycoedcae, it's on the right after Bryn Celynnog School. The car park is at the rear with plenty of parking facilities. This is an excellent building with a number of large spaces to work in. The venue has very good toilet facilities, kitchen, and a number of rehearsal spaces. Due to the practical nature of the sessions, parents are required to provide information regarding medical conditions or special needs of all students enrolled in the workshops, as well as this consent to call the emergency services in case of a medical emergency. LMT Academy of Performing Arts comes with full public liability and employers liability insurance. Please take a look at some of our students in action! Luisa's love of Drama and the Performing Arts developed from a young age. Luisa trained for 15 years with the Patricia Rees School of Dance in the styles of tap, ballet, modern and jazz. Luisa performed in numerous productions with the dance school taking on roles on productions such as The King and I, Carousel and many dancing events. Luisa also studied contemporary dance and worked along side RCT Community Arts teaching contemporary dance to Primary school students. Luisa studied Drama through school at KS3, GCSE, A level and pursued her interest at University where she studied a degree in Drama. She then followed a PGCE in Drama and Welsh at Aberystwyth University and worked as a Director of Learning of Performing Arts at Tonypandy Community College. She is now Assistant head. Luisa has performed in many productions, Concert and Eisteddfodau and has taken many leading roles. She has also worked in TV. Luisa's passion for directing came from University where she directed Sam Shepard's True West. Other directing work includes: Charlie and the Chocolate Factory, Beauty and the Beast, The Wizard of Oz, Bugsy Malone, Night of the Musicals, Little shop of Horrors, Be my Baby, The line, One Night Only, Be My Baby, An evening of Drama and many more. Luisa is a fluent Welsh speaker who is keen to promote the Welsh language. Luisa is trained to Level 3 Child protection and LMT has also been a licenced chaperone. Marvin's love of Performing Arts developed from a young age. A natural, gifted musician who picked up the saxophone and never looked back. Marvin 'the music man' studied and performed through school studying Music at KS3, GCSE and A level. Marvin was also a keen actor and studied Drama at A level. While at school Marvin took on many performing roles such as Fagin in Oliver, King Arthur in Camelot and Dandy Dan in Bugsy Malone. Marvin pursued his career in Music studying a degree in Jazz at Leeds College of Music. Following this Marvin studied for a PGCE and qualified as a teacher of Music. Marvin currently teaches Music at Y Pant Comprehensive school. Marvin has performed in many professional bands such as White on Black, Rhian Grundy and has formed his own function band The Magnifico's. He has recently played in the European final of the ‘Elvis’ convention in Birmingham. Marvin has organised and musically directed a number of productions such as School of Blood, Wizard of Oz, Little shop of horrors, Charlie and the Chocolate Factory, A Christmas Carol, Peter Pan and YPF 08 and 09. Other friends of the academy include: Tatum Richards, Jenna Martin, Martin Childs, Natalie Crandon, Holly Williams, Ian Radcliffe, Mark Evans and Sophie Evans. CAN I STILL ENROL IF I MISS THE ENROLMENT DAY? You can enrol at any time, provided there is a place available. Contact us via website, facebook or email for a start date. WILL I DEFINITELY HAVE A PART IN THE SHOW AT THE END OF THE YEAR? Yes. Obviously, not everyone can have a ‘staring role’ in the show. Students who want to take a major role will be given help in preparing to audition, so everyone will have a fair chance to get a part. WHEN DO YOU DO YOUR SHOWS AND PERFORMANCES AND WHAT SHOW ARE YOU PLANNING TO DO? Our shows and performances take place at various times throughout the year, but we always attempt to have the performances at times that do not clash with school exams, particularly GCSEs etc, as well as times when we know local schools have performances, Eisteddfodau etc. Up-coming shows are always advertised on the website, and we send a written notice to parents months in advance requesting information about their holiday plans etc, and do our utmost to avoid clashes. I WANT TO JOIN BUT I AM SHY/NERVOUS? Don’t worry, we all get nervous! Whether it is starting school for the first time, joining a class or performing! We are very friendly at the academy. Always on your first visit/workshop we will buddy you up with one of our experienced students who will look after you, partner you and help to show you the way around. You have passed he first step by coming along! The LMT academy prides itself on being a safe welcoming place. WHAT CLASS WILL I BE IN? We have 3 different classes at the academy. Our senior section, junior section and the minis. They are split into age groups, but on occasion we may move students up if we feel the next stage is more suited to their development. We are currently rehearsing for our next production. The production will be a ‘showcase of favorites’ in celebration of our 5th anniversary of establishing LMT. The performance will be held at Bridgend Sony theatre on Sunday 26th October at 5pm. There will be one performance only. The show will feature Sophie Evans, who will perform along side our students. What a great opportunity for our student to perform with a west end star, film and TV star! Our term begins this week and will run for 8 weeks ending on Sunday 26th October. 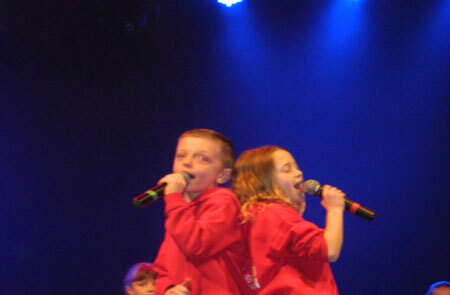 Our prices still remain very low in comparison to other companies and we pride ourselves in delivering the best quality and provision for your children within the Performing arts. Our next performance will celebrate our 5th Birthday at LMT. What an amazing 5 years it has been. Joining us for the fantastic event will be west-end, film and TV star Sophie Evans. This event will take place in Oct 2014. More to follow! We look forward to seeing you next week. Don’t forget to bring along a friend for a free trial, they could be part of the show too! If there are any questions regarding the academy please don’t hesitate to contact us on 07879333121 or use our Facebook page. Look forward to seeing you next week. 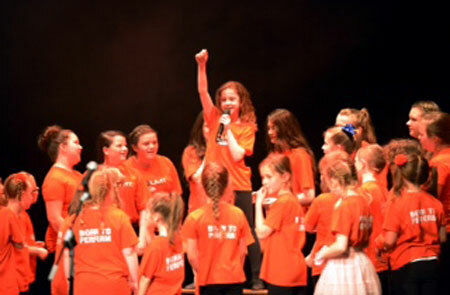 Students at LMT are BORN TO PERFORM! What a great few months we've had! 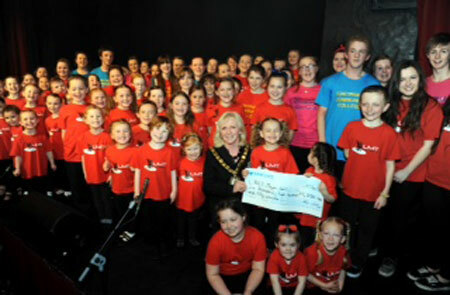 LMT students recently performed a sell out show at the muni Pontypridd in aid of the mayors showcase! This fantastic event raised over £1250 for various charities. 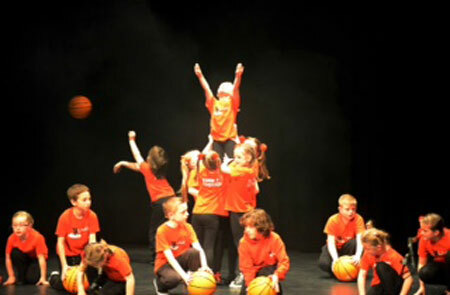 The LMT academy have now raised over £8750 since opening in 2009. What a fantastic achievement. This month we opened our 3rd centre at K2 gym near Brackla in Bridgend. This is in collaboration with the gym and we look forward to welcoming new students who will join us for our summer show! We are currently working on our end of term summer showcase! This showcase will take place in July and involve 3 centres. We will also be celebrating student successes with an awards presentation! So much opportunity at LMT, students are born to perform!! Our new term begins on Saturday 8th March, we will hold a free taster session on this date for anyone new wishing to join us. 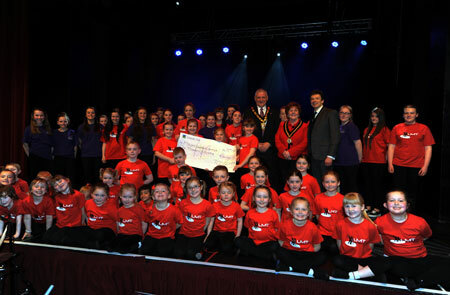 We are currently working on our next performance – A charity showcase in aid of the Mayor, which will be held in the Muni, Pontypridd on Saturday 5th April, more information to follow. Big congratulations to Marvin who sang with the Penderys choir at the millennium stadium before Wales beat France in a dramatic match on Friday 21st February. We are also delighted to announce that Leanne has secured a place to study for her PGCE in Drama. We wish her all the best! Wishing all our bilingual students a huge good luck as they prepare for the first heat in the Eisteddfod. We have students competing in recitals, solos, choir and much more! 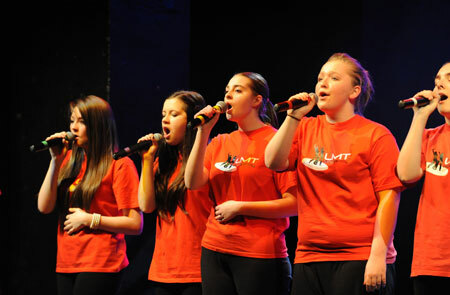 LMT students are ‘Born to Perform’. We are back for the new term! Exciting times ahead and a Christmas concert to plan and rehearse for. 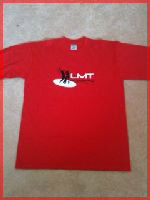 To enrol at LMT call us, email us or join us on Facebook. LMT students are born to perform!!!!!!! Due to the recent bad weather I would like to inform you of our procedures. In the event of bad weather a decision on whether the LMT session runs will be made the evening before and parents notified between 8pm-9pm. This information will also be on our website and the facebook group page. If the LMT academy cancels a session, monies paid for the term will be deducted from the following terms fees. If two sessions have to be cancelled the second session’s time will be made up through extended sessions. If the academy is open, regardless of the weather it is still a session and payment will be required as students pay for a place in the term and not on a weekly basis. Please use this form to contact us. We will respond to all enquiries within 24 hours. If you prefer you can contact us through facebook or twitter.